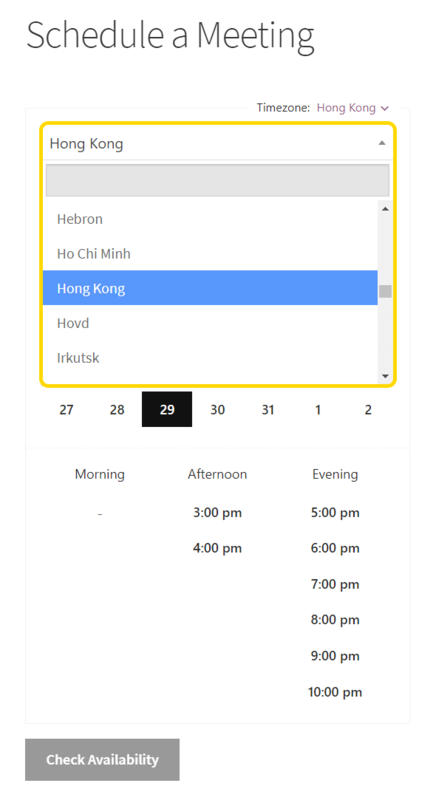 Want to show available time slots in customer's timezone throughout the booking process? Appointments 4.0 now has this capability and it's simply amazing. If you do a lot of business with customers outside of your timezone, this will save you a lot of headache. Customers will have the option to change the timezone to their own and see available slots that are relevant to their own location. 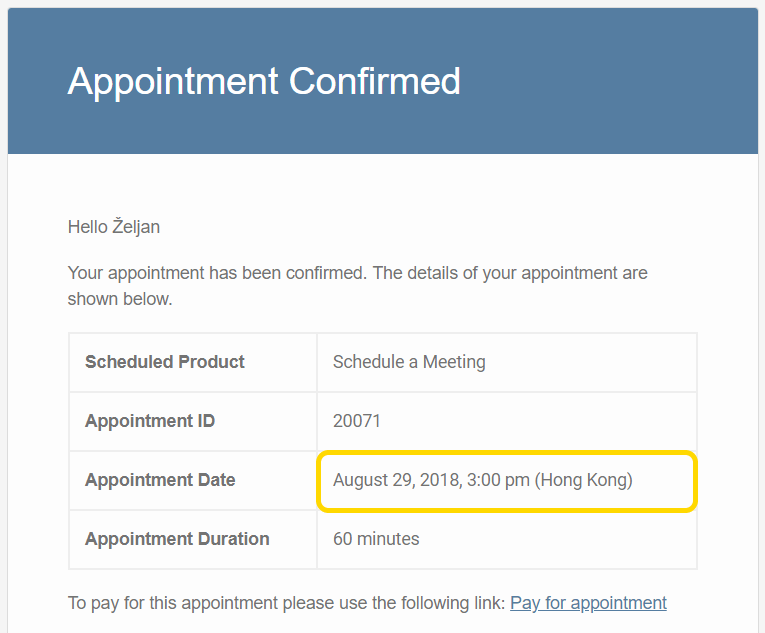 It is also very useful if you are traveling a lot and need to know in advance when the appointment will take place in location that uses different timezone. Appointments already had simplified timezone conversion before, but this is way better. Timezone conversions are available for appointments that have duration set in minutes or hours. If this is the case for your product / service, all you need to do is to enable the timezone conversion option inside General product options. 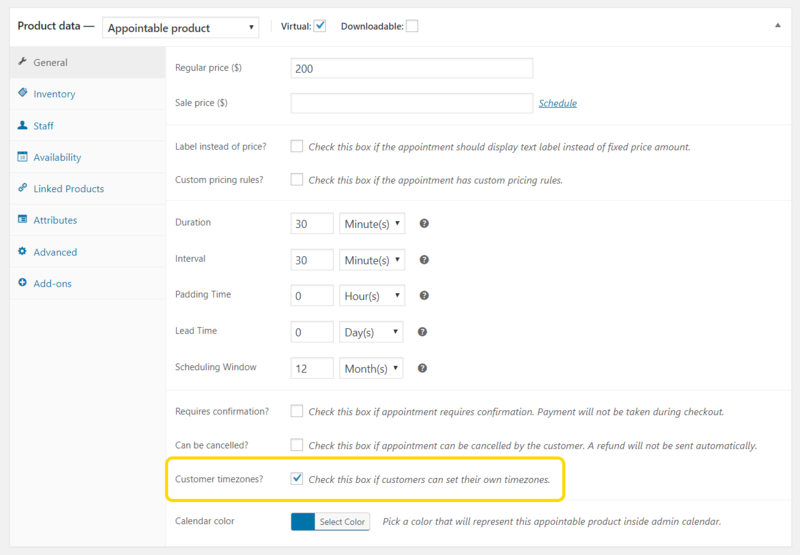 When customers are on the product page, thy have option to convert available time slots to their own timezone. It is also super convenient that they can choose their nearby city for their timezone. They can also choose UTC timezone if that is their preference, both work buttery smooth. Appointment’s times are always sent to customers in their selected timezone. On the other hand, staff and admin see the same appointment in site’s timezone, so it works best for all participants. 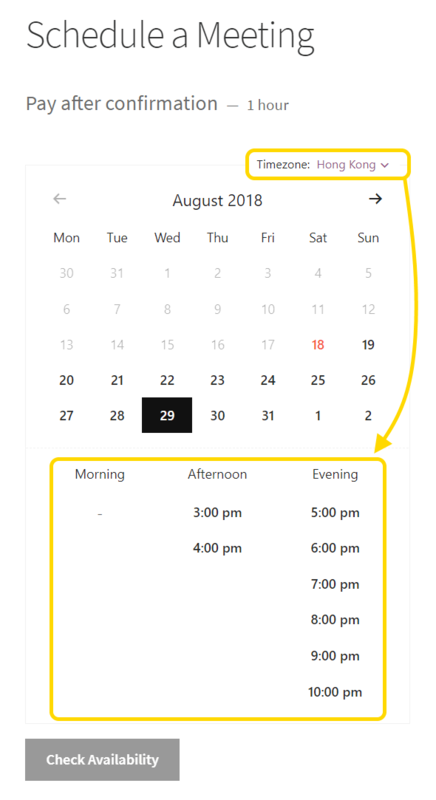 Staff and admin can also see the timezone in which customer has scheduled an appointment and have the ability to change it. Staff and admin can see the same appointment in their own time zone and also change the customer’s time zone. 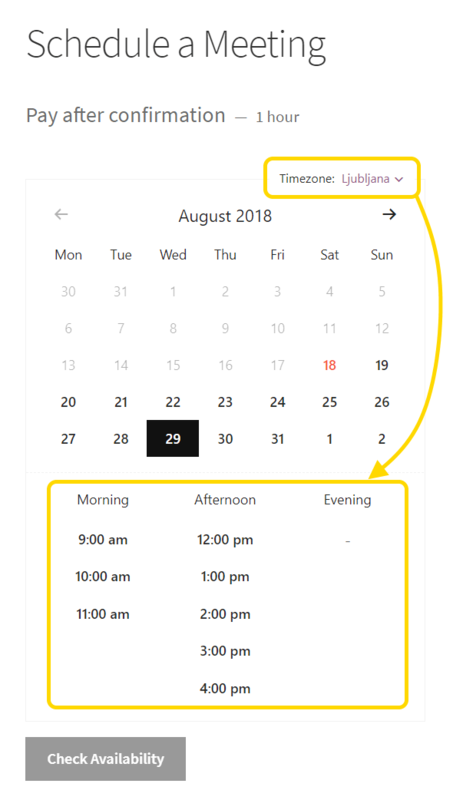 Feature - Customers can set their own timezones. Improvement - Custom pricing rules now apply to add-ons as well. Improvement - Updated all translations. Improvement - Product filters now ordered by product title for easier searching. Improvement - Reduced ajax cost calculation calls with time slots. Improvement - Added hook to allow filtering all gcal parameters. Fix - Display appointments from "order ID" and "order item ID" to prevent ghost appointments. Fix - Deprecated "btoa" function in JS for DatePicker in International Browsers. Fix - "Book now" button is disabled per html and not per css class ".disabled" any more.